Domestic violence is always a reason to divorce. One common feature of abusive relationships is the abuser’s continuing promises that he or she will change and that the abuse will stop. If your partner tells you this, do not believe him or her – an abuser cannot change without extensive therapy. Do not wait for your partner to change. Get out and if he or she truly does reform through treatment, you can revisit creating a new relationship later. Sometimes, domestic violence is difficult to recognize, especially when it is not physical abuse. Learn to recognize the various types of domestic violence listed below so you can recognize whether you are a victim. Making the victim feel he or she is not loved or that he or she has to “earn” love. Forcing a victim to give up religious practices and beliefs that are important to him or her is known as spiritual abuse. This can be considered a subset of emotional abuse or even a form of psychological abuse when it causes the victim to suffer psychological trauma. Excluding the victim from participating in important discussions and decisions. Forcing the victim to take drugs or use alcohol against his or her will. Creating pornographic images or videos of the victim without his or her consent. Controlling all of the household’s funds without consulting with the victim. When domestic violence is present in your marriage, you need to get out of the marriage. 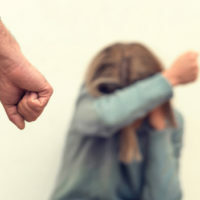 Staying in an abusive relationship can have many long-term emotional and psychological consequences for you, such as mental health difficulties and an increased risk of physical conditions like asthma and chronic pain. Work with an experienced Tampa divorce lawyer to exit your abusive marriage. Contact our team at Bubley & Bubley, P.A. today to schedule your initial consultation with us.